This flexible space does double duty as both an artist’s studio and accommodations for overflow guests on the sleep sofa. The curved glass block wall is a unique feature that allows light to pass into the windowless bathroom. A stainless steel countertop and integrated sink allow for easy cleanup of brushes and paints. 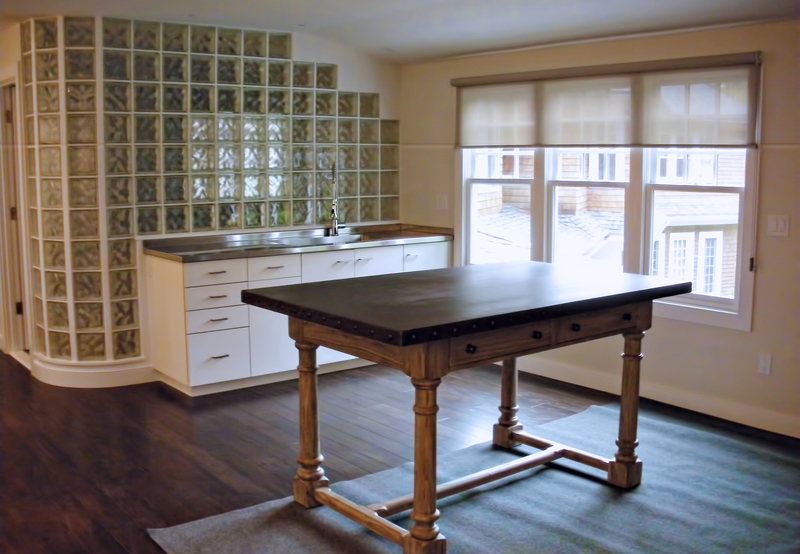 The large storage cabinets were custom designed with artist canvases in mind. The cabinets can easily accommodate any and all art supplies while a specially designed section keeps volatile chemicals safe. 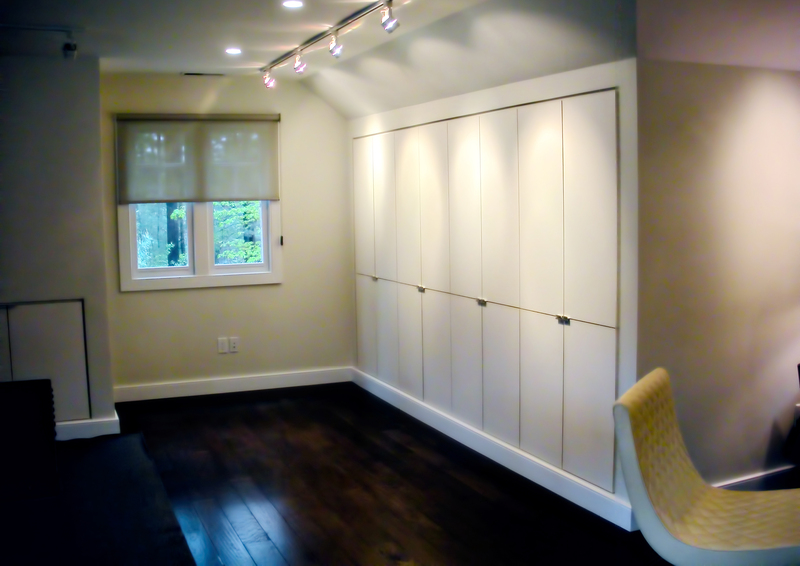 The cabinets were specifically designed with low-profile hardware and without protruding moldings so that when closed, the artist can use them as a gallery wall, which is highlighted by custom lighting.